1. It is extremely annoying when someone texts you the alphabet. One.letter.at.a.time. 2. It is even more annoying when two someones do it at the same time. From two different phones. 6. 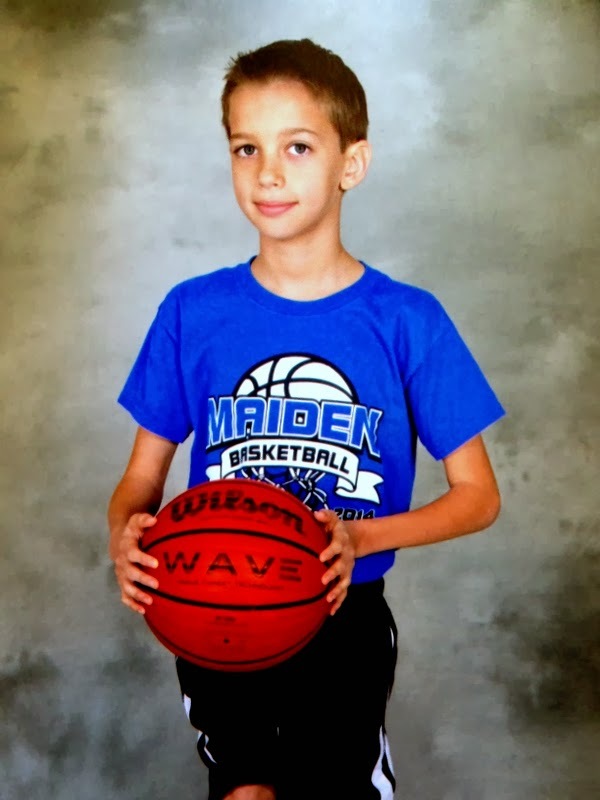 Boys' basketball is pretty fun to watch when your kid is enjoying himself instead of standing on the court with his hands in his pockets and his lip stuck out, begging you to quit after every game, which was the case the year Dracen played when he was only five. He never had an interest again until this year (he's now 10). What a difference five years can make in the life of a boy. 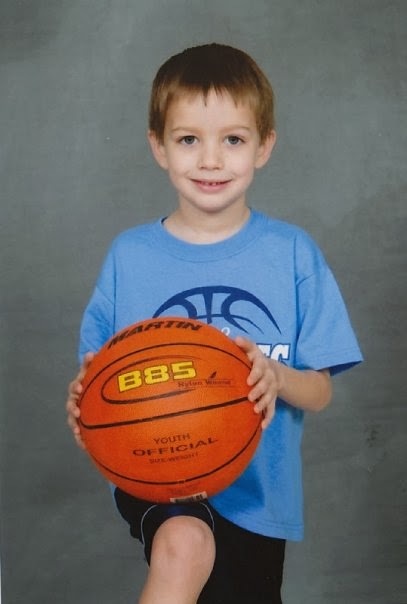 And his relationship with basketball. 7. I'd rather watch a basketball game than a baseball game in the month of February because COLD. Gyms are heated. Outdoor bleachers are not. Hurry up spring! 9. All that expressing of my lifelong intense hatred for algebra over the years may not have been a wise choice since Devin is now in the same high school algebra boat I floated around in back in the day. "I'm never going to use this in my life anyway" is a debate I am continually ill-prepared for since I was always in agreement with that statement. Right on up until I found myself the parent of a high school algebra student. Well-played, ALGEBRA. Will you ever cease to haunt me? 10. 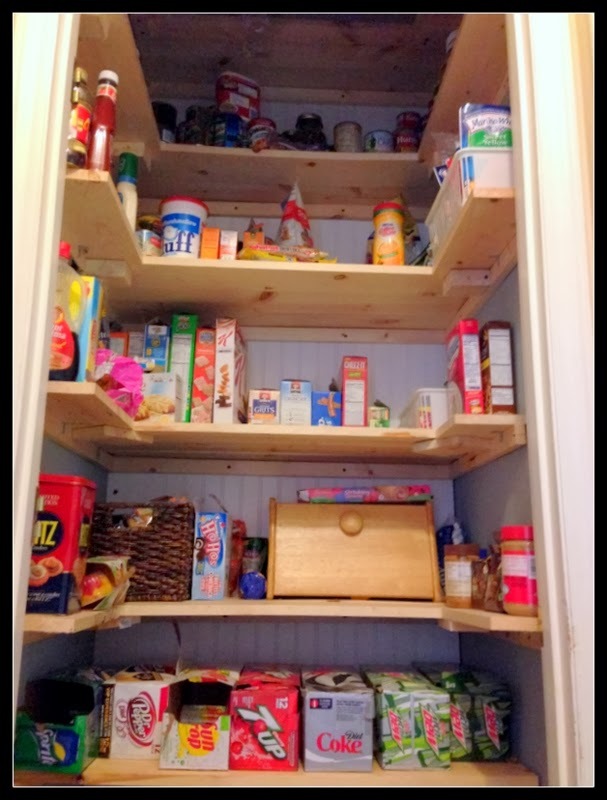 While grocery shopping will never be on my things-I-do-for-fun list, it is quite a bit less painful when one has a pantry to put the stuff in. Yes (thanks to my husband) I now, for the very first time in my life, have a pantry in my kitchen. Thank You, Jesus. And Charlie. Even the word 'algebra' makes me nauseated! How I made it through that class is nothing short of a MIRACLE! You and me and every other blogger on earth hate math...ALGEDRA in particular. It is the subject that haunted my dreams and having all 6 of my kids in Honors math classes like I was...I cringe when they ask for help. The good part about TeenBoy, BratChild and SIX having those classes is...they can ask their older siblings for help. I use the excuse that it because I took those classes way back in the stone age when there were 9 planets and Russia was one HUGE country not 99 small ones. Hey, whatever works so that I do not have to look at a page in that behemoth of a text book ever again. I love the squirrel pictures. I'm a teacher and I'm still hard pressed to see where we use algebra! Glad to have you back! I love watching squirrels.. scamper across the rocks, climb the trees, and find a nut to munch on. But, as adorable as they are to watch, they can cause so much property damage. We have had to trap our critters and get rid of them to control the population and damage. Pantry's are the best! Mine needs re-organizing. Sounds like a Spring Cleaning kind of project to me. Baseball bleachers should be heated. If only school budgets had as much money as pro sports! I came from the link-up at Chatting at the Sky. I have a miniature dachshund! I love your last picture. I've never heard that quote about the South and winter. I hope you enjoyed our snow :) As an Ohioan, I'm ready for it to go. It's definitely overstaying its welcome this year. Oh I can't wait for the day my son decides he's ready to play and stops sticking that lower lip out!